If you want to move to or from beautiful Santa Clarita, California, you should know that our moving company offers the highest standards of service for affordable rates. We offer fast, easy quotes to our valued clients, as well as residential and commercial moving services which are delivered in a timely and professional manner. When you place your trust in us today, you won’t be disappointed. Our team of professional movers have the ability to pack, unpack, assemble and disassemble items and they know how to get them from Point A to Point B in pristine condition. We are a PUC-licensed company and we’re proud to provide caring service to Santa Clarita residents. No job is too big or small, so do consider contacting us today. We’re here to offer the advice and moving services that you need. You’ll find that our team members are clean, well-groomed and polite and they will ensure that you and your possessions are treated with respect. Santa Clarita is a young Californian city, formed in 1987, when several communities united. The total amount of people, joined into the city that time was close to 100,000. Today it has reached almost 200,000. Santa Clarita is located in a seismic active zone, although earthquakes happen there rarely. Meanwhile, people, being aware of them, come to this land, blessed with its warm climate and beauty of mountains and valleys. The place is located pretty far from the Ocean, so storms do not threat this land. The biggest hazard of Santa Clarita is wildfires, happening here almost each summer. Such a problem makes the guys, working in our company, be ready to any Force Majeure. Although we plan the client’s relocation in advance, we don’t get the payment for the work of the team and for the insurance. But we always forewarn our clients about weather threats if they happen. Our company always recommends clients to choose the time, which is relatively safe. The majority of clients in Santa Clarita live there permanently. Some families own houses for many years. There are less than 28% of people, who rent homes in the area, thus our crews are ready to work hard, when the client moves. People, living in one house for a long time, have much stuff to move with them to another place. Sometimes it is not enough for them to hire only two movers and a truck (most popular option). For clients, that move from large houses and having too many pieces of furniture and spacious boxes with things we recommend three or four men. Students, who come to the city to study at California Institute of Arts, often live in rented apartments. When they relocate to another home with our company, they do not have much cargo and many belongings. 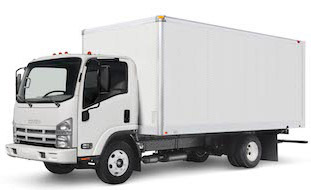 Your Moving company in Santa Clarita recommends to hire two movers if it is a small move. Such an amount of professional guys is enough to pack quickly the things of the client and load the truck. If the crew work with customers moving from a rented home to another rented place, they do not deal with much furniture to move. Meanwhile, our clients know, that our movers minimal working time starts from three hours. The team will work for you until everything is moved to a new house and arranged. They can work longer, but never less than three hours. The average size of a family, living in this area is 3-4 persons, who own a 2-3 bedrooms house. In comparison with many Californian cities, Santa Clarita people have a very good income. However, our movers get there the same fee for their work as the movers, working in the other regions. Hiring us, you get Santa Clarita professional moving service, and you should never worry about the safety of your home belongings. We are One of Best professional moving companies in Santa Clarita and we deal with the clients’ stuff with a great care. We always ask our clients to keep their documents and important papers with themselves and rent a deposit box in a bank to store valuables in it. We trust our movers, but any relocation is always a fuss, even when professionals help you. Thus, not to lose anything, keep your papers separately from cargo. It will be great, if you label the boxes, which Santa Clarita movers will load into the truck. It will reduce the risk of losing anything important.